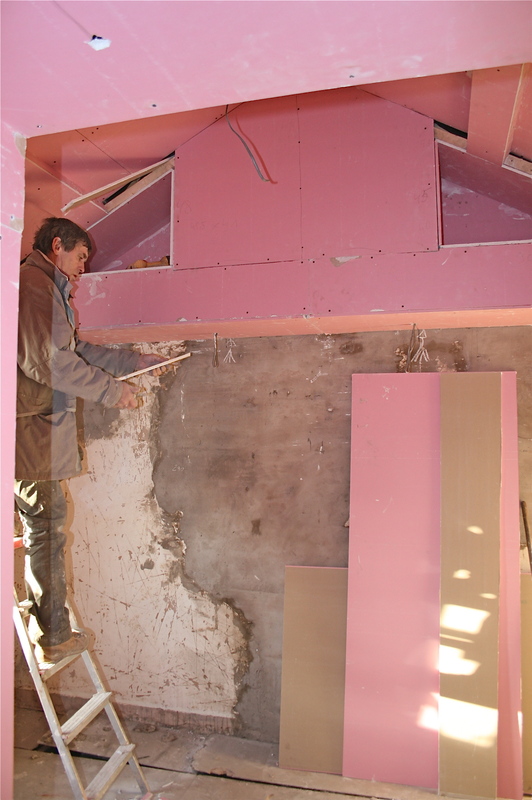 Rose Cottage by name and nature, walls go pink! 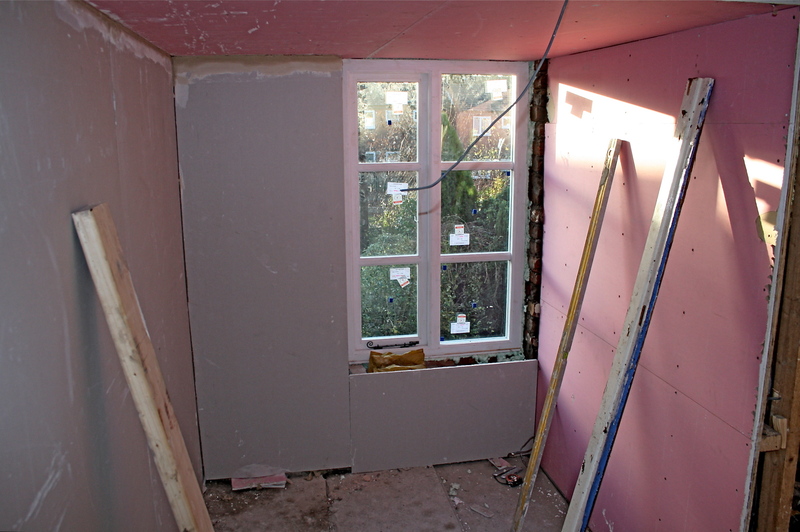 Rose Cottage is only tiny and every inch counts (as should it always eh), so rather than use two layers of plasterboard to comply with fire regulations, we’ve used a single layer of Knauf Fireshield board. It’s as you can see, pink, so all in the cottage is currently rosy. For a change. 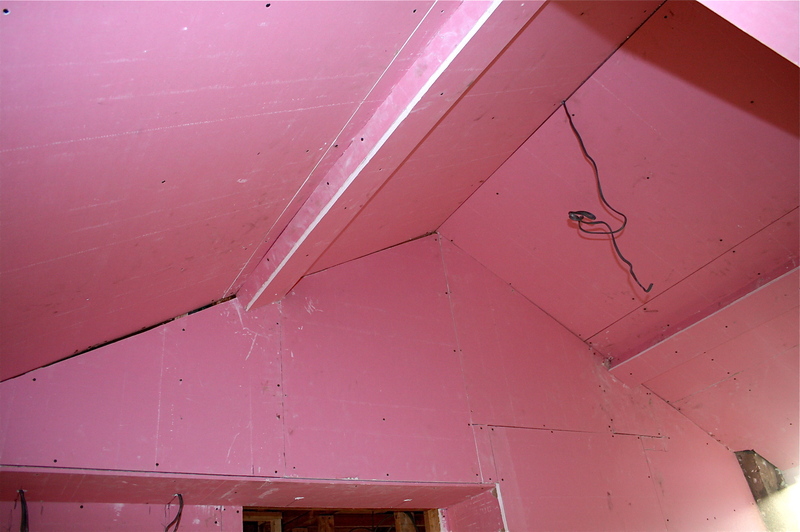 The newly steel supported chimney breast in the bedroom above has been boarded over, with a cute recess remaining on either side for knick knacks or books, and lights will be fitted to the underside of the long horizontal pink section, under which the bed will sit. The original bedroom ceiling was very low and didn’t reveal the lovely pitched shape of the roof, as it does now – clearly it will look better when painted a lovely Georgian paint shade. The beams were not in the best of condition so have been boarded over, which is a shame, actually, I may just get on the phone and ask about revealing them again, ’cause they don’t have to be perfect….. Even the second bedroom is starting to look more like a room, though it does look titchy in this picture above – I was balanced on the bed-deck quite precariously here. The windows look fab!! 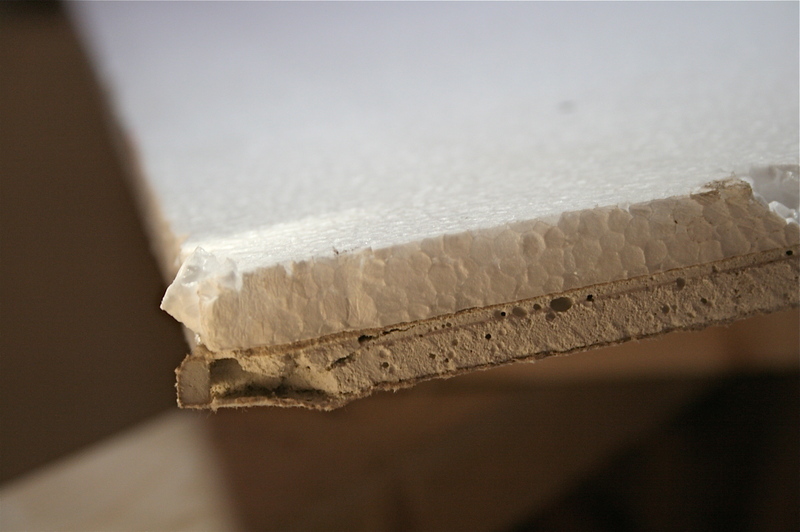 Fireshield boards have been used on all the ceilings and internal walls, but the external walls you can see look like they’ve been covered with regular plasterboarding…..nope! 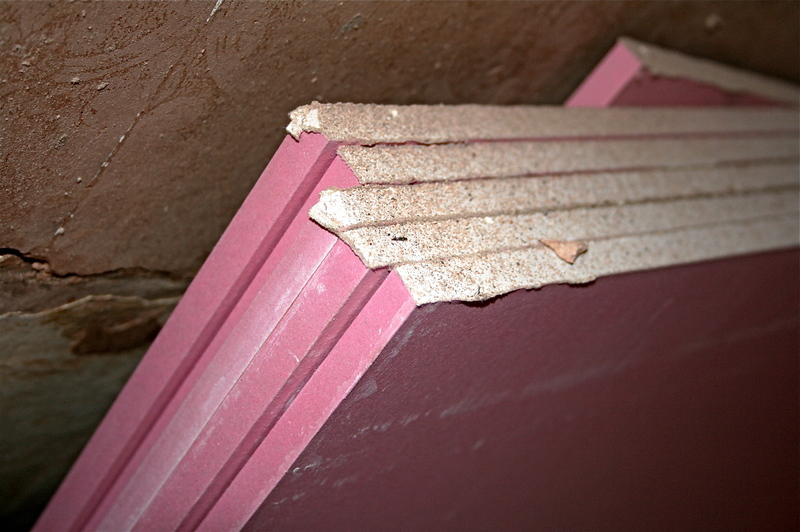 It’s actually a thermal insulated board, again by Knauf which will help to retain heat within the cottage, you can see the board with attached insulation to it above. Mmmmmm, Rose Cottage will be doing her bit to save the planet and will be toasty for the first time in years!